Give Your Girl Some Twirl! 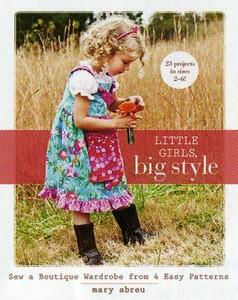 Every day is dress-up day-mix and match 4 basic patterns into hundreds of adorable outfits. Complete instructions on all the basics-finishing seams, gathering, topstitching, hemming, shirring, and more. Beginner-friendly.